Catalog > Waiting For Santa Christmas Outift - Free Personalization! 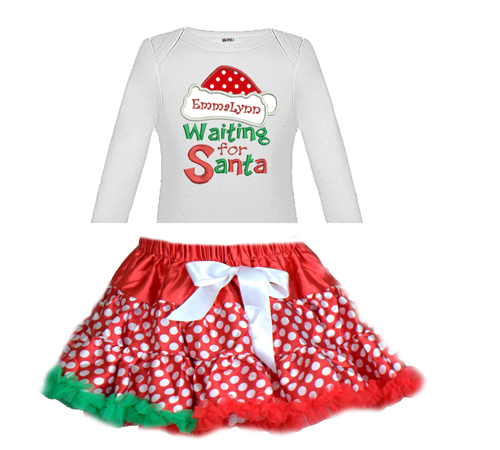 #ttss-stc-15 Waiting For Santa Christmas Outift - Free Personalization! Waiting For Santa Christmas Shirt and Pettiskirt Outfit. With Free Personalization! Each Waiting For Santa Shirts will be done with the design as shown with the addition of your little ones name if you'd like to add a personal touch to their holiday outift. 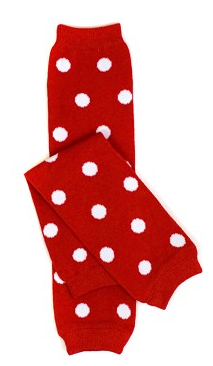 The skirt is designed with a white polka dots and red, white and green chiffon ruffles. This item is custom made in the US. Please allow 2.5 weeks for your order to be created, plus shipping time.